Whizzing forward to today this may evoke a pang of recognition. In this 2014 season just passed, on the track F1 just about got it right. The problem was that in virtually everything else it got it wrong. And would that it were merely commerce - instead outside of the two hours on Sunday afternoons what we got was politicking, intrigue, dispute, selfishness and the sport drifting unaltered in its grotesque and deformed state, seemingly unable to resolve on a remedy. Its future unclear, and eliciting rather a lot of trepidation. Too many people have been harmed by F1's warped ways already. The risk of many more joining them is real. Yet heading in no one really knew what to expect from this season. In no small part because F1 in 2014 hit the reset button. We've had engine regulation changes before of course; we've also had chassis changes. But rarely have they arrived together. They certainly haven't to this extent. 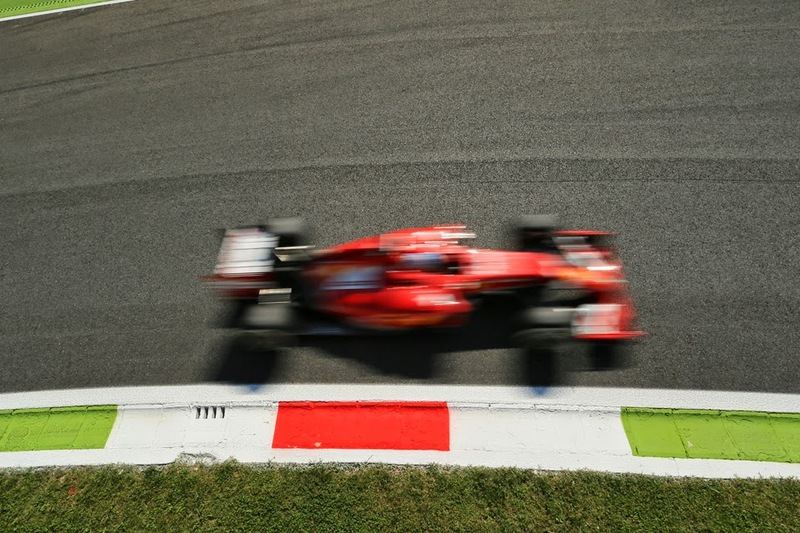 Never before had there been such a leap between F1 seasons; such a leap into the unknown. In effect all teams had a new and highly complex technology thrown at them - a 1.6 litre turbo internal combustion unit plus greatly increased energy recovery, combined with a 100kg fuel limit as well as a limit to the flow (even the name changed - 'power unit' rather than 'engine' being the parlance) - and were told curtly to get on with it. Moreover, as Adrian Newey pointed out, a new hybrid car on the road will have five years' testing and development behind it, and the F1 equivalent of now is 20 times more complicated than even the most complicated road hybrid. The teams had but 12 days of track testing to get it right. Not only - as is always so with reg shifts - was there potential for the competitive order to be shuffled, such were the changes this time that even the nature of the racing itself was potentially stepping through the looking glass. But we should have known better - compared with such expectations things instead went rather swimmingly. There were but five mechanical stoppages from 22 starters in either of the first two races, and from then on the trend was gently downwards to numbers comparable with 12 months ago. 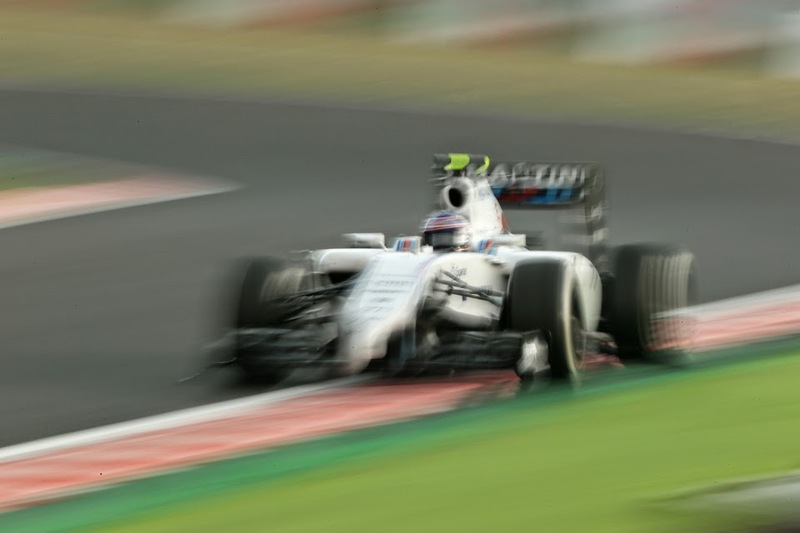 As for the speed, the lap times were undeniably slower, but usually not by much, and come the year's end the 2013 times were close to being matched. In Interlagos - helped no doubt by the altitude - the current cars were faster. And while much focus was on the new power units some of the lap time drop-off could be attributed to reduced wing sizes, the passing of the exhaust blown diffusers and less grippy tyres. Races also were not the feared economy runs, indeed some Mercedes runners were thought to have not been using the whole 100kg allowance. Only really in the Russian race in Sochi was fuel saving conspicuous. In the event the units produced roughly the same power using 40% less fuel. Indeed all season the cars were smashing the 2013 marks through the speed traps (though the trimmed down aero for this year played its part too). And seeing drivers really work hard to control the higher-on-torque machines was a joy to watch. Most importantly of all, as Darren Heath having witnessed the new cars close at hand and in the main functioning beautifully after their severely-restricted testing time noted post Melbourne: 'just imagine - outside the world of F1 - how long getting this right would have taken. Many company bosses in the wider automobile world would pay billions for such expertise, rigour and result'. Heck, even The Guardian outside of its sport pages spoke glowingly about how the ripple effect from the F1 technology's advances on the world's motoring industry could have a considerable myriad impact by reducing global oil consumption by 2% or more a year. The very clever people of the sport, now by regulation nudged in this direction, are now indirectly using their skills in a highly noble cause the effect of which will be felt far beyond the circuit's perimeter. Not that you'd necessarily have known it however, initially at least. Instead the prevalent noise in the early weeks of the season was about noise. A few noticed that the cars didn't make as much of it as before. Ironically they managed to create a heck of a lot of decibels over the matter. It was after the circus arrived in Melbourne for the season-opener that things really kicked off. It started with local journalists in their copy protesting at the new relatively hushed F1 machines. And before you knew it fans' complaints - some from the track, some not - spread like flame after someone had spread lighter fluid around the place and lit a match. And nature abhors a vacuum. Not for the first time when the job of promoting F1 as a whole was being offered - to the FIA, to Bernie Ecclestone, to the teams - most stared at their shoes, even though the good news story of the new rules and their potential environmental benefit was a considerable one. Though honourable mention should go to Mercedes which did its level best to talk the technology up more widely throughout the year. But only F1 you feel could manage to turn its weakest flank in broader opinion into potentially its strongest and still manage in the PR job to blow a hole in its own foot. Meanwhile we as ever had the ubiquitous Bernie Ecclestone, who hadn't been into the new regs pretty much from their first conceptualisation. And he at the time of the Melbourne round (while he hadn't inconvenienced himself to actually show up to the track by this point) probably couldn't believe his luck and hopped onto this rather convenient bandwagon with a gleeful 'I told you so' air. And he was joined quickly on it by his big mucker Ron Walker, Race Chairman of the Melbourne event, who was in colourful prose espousing threats to sue as well as to host Indycar at his place instead of F1, and to convince other venues to follow. Various bigwigs from Red Bull in time leapt aboard too, including Sebastian Vettel - who has in Nigel Roebuck's words 'long shared with Melbourne promoter Ron Walker the presidency of The Bernie Ecclestone Appreciation Society', not that I draw any conclusions from that you understand - as well as big boss Dietrich Mateschitz who, without actually spelling it out, hinted his firm's continued involvement in the sport was in doubt. Which came as a bit of a shock to all those employed in the Milton Keynes team. The supposed tepid entertainment value resultant of the new regs combined with apparent complexity were thrown against the same wall also to see if they stuck. Ferrari's President Luca Montezemolo by the time of round three in Bahrain turned up to tell all of a prevailing 'taxi cab formula'. Bernie at around the same moment called the on-track fare 'unacceptable'. But not everyone concurred, and Ron Dennis for one pointed out the absurdity of such actors who had agreed to the regs and had played their part in framing them suddenly lobbing stink bombs in as soon as they came into practice. It's never been clear why Bernie holds the view of the new regs that he does, but a few theories were banded around, not many of them noble. Perhaps it was an attempt to get the sport's value down as a prelude to him buying the sport's commercial rights back from venture capitalists CVC Capital Partners, just like before buying a second hand car you might try to chip at the price by pointing out the excessive miles on the clock and that the brakes seem a bit dodgy. 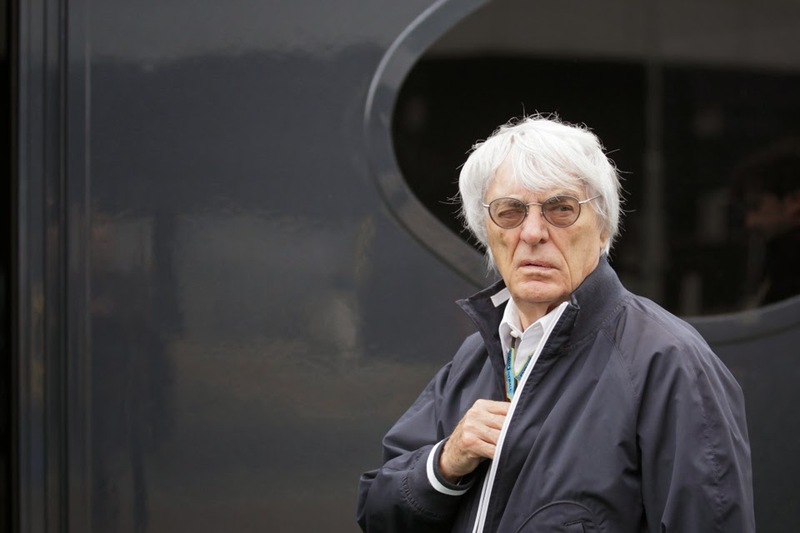 Some further rumours had it that Red Bull and Ferrari (and Mercedes) maybe were to be part of Bernie's consortium. Which if so would explain their respective stances. Before the year was out there was similar rumours about even a 'GP1'-style breakaway from the FIA altogether by Bernie with said top teams. Of course, one should not be churlish. Noise is an important part of the experience, and an honourable one for many fans. It was never clear what the actual split of opinion was (and no, Ferrari's risible 'poll' from early in the year got us no nearer an answer); the extent that the complainants were representative or simply reflected a small and possibly vexatious bunch shouting loud (perhaps appropriately). The best evidence was that fans were divided. Plenty actually liked the new sound, both in its gravelly tone as well as that it allowed other sounds previously mixed well down to now be discernible. Part of the trouble with those loosely against the new rules is that their powers of prediction almost always were poor, as intimated. Furthermore they perhaps weren't particularly well represented. Some of the claims made in support of their 'side' stretched credulity to breaking point, particularly those from the mouth of Ron Walker. Funnily enough by August an extended deal for Melbourne to host its Grand Prix at least until 2020 was announced. Walker's red lines mysteriously had evaporated in the meantime. And as Karun Chandhok pointed out too, what else was expected when an exhaust is plugged into a turbo? Eventually the fuss died down as it almost certainly was going to. 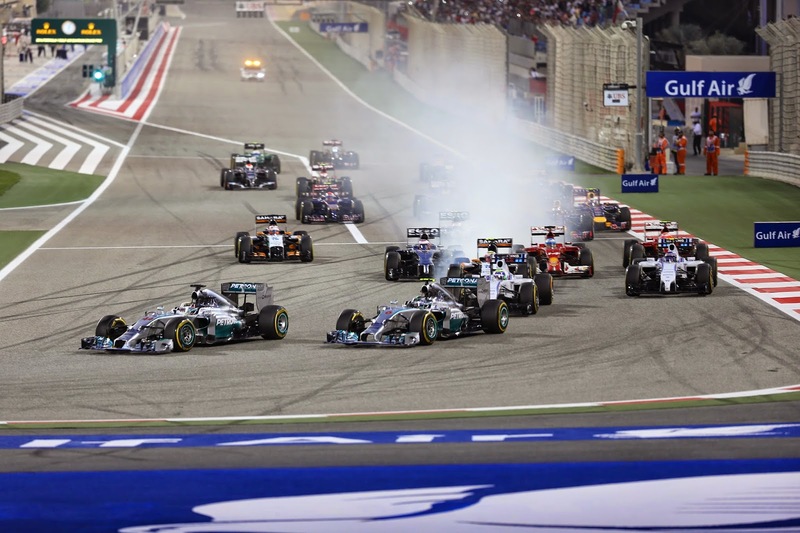 The main break point was round three in Bahrain, which was the most diverting race in a good while and shot most of the foxes that the complainants were looking to set loose. It also was timed perfectly as the afore-mentioned Montezemolo in attendance could be seen on the TV feed watching on like one chewing on a razorblade. Ironically the only taxi on show was that which Luca snaked into for making his escape midway through proceedings, the tail between his legs almost visible. Niki Lauda afterwards delivered the final strike with a flourish: 'If anyone complains that this is boring then they're an idiot'. Undeterred however come the season's end Bernie was still muttering about the returns of the V8s, or even better to the V10s. As was his presence-on-earth Red Bull boss Christian Horner. The rumours about his grand (or destructive - delete as applicable) scheme for the sport's future refuse to desist. Hey ho. But while rather excessive attention was given to shrieking at the odd mouse scuttling around the skirting boards, all the while we had an elephant in the room. And hardly a new one. If F1 on-track was rather different in 2014 then the main talking point in the latter part of the year had horrid familiarity. It was the matter of cost control (or lack of it) and the desperate struggle to survive of certain teams. And just as Ernest Hemingway noted the bankruptcy arrived gradually, then suddenly. The building of pressure was gradual, and a long-time coming. Indeed we can trace it all the way back to 2009 - perhaps sooner - when then-FIA President Max Mosley sought to wrestle the sport's desire to spend itself out of existence. Yet despite the odd back and forth since it never was resolved properly. Indeed the collapse of the teams' association FOTA had a double whammy - not only resulting in the effective end of the Resource Restriction Agreement but also that Ferrari and Red Bull's cutting and running, which started the process of FOTA's end, was shortly afterwards followed by the pair being awarded generous - you might say distortive - financial deals from Bernie. Almost as if one begat the other. Arguably what we ended up with was worse than when FOTA was created. But in the autumn of the 2014 season the edifice crumbled with exasperating suddenness. After the round in Russia Caterham and then Marussia announced administrations - and at the time of writing neither team looks in the least likely to be on the 2015 grid - and these were followed about as quickly by confirmation from three other teams from the midfield and back - Lotus, Force India and Sauber - that they too are sailing very close to the wind. How this came to be in a sport that's thought to generate an operating profit of something like £1.8bn only underlines just how ridiculously skewed the £1bn that goes to the teams is, with as intimated the few at the top getting a gluttonous share of it. Ferrari and Red Bull get minimum payouts just for being them (i.e. before performance-related payments are added) that outstrip the entire annual budgets of the teams towards the back. Come the next race in Austin Lotus's Gerard Lopez spoke eloquently that - contrary to the inferences of Bernie, Mercedes's Toto Wolff and others - this was not a case of these struggling teams being imprudent and failing to cut their cloth. Instead the minimum cost of simply turning up in F1 has risen sharply in recent times to a level beyond the ability of the teams at the back to raise revenue. The costs of the new power unit, combined with tyres which used to be free, ensured it was so. Ex-FIA President Max Mosley emerged at around this point too to state that a serious trick was missed in not placing a strict cap on how much the new units could be sold on for. Without it we have ended up with the small teams in effect subsiding the big manufacturers' R&D. Bernie and the top teams largely were unmoved. To the point that some, such as Force India's Bob Fernley, wondered if rather than lethargy it was strategy; that there was a plan to make the sport an effective carve-up for the top five with the rest falling off, and the remainder of the grid instead made up by third cars, customer 'B teams', or a combination of the two. Needless to say the risks of such a future were pointed out by a few. Just like last year, and a lot of the ones immediately before it, F1 it seems is frozen by inertia, and is drifting. A big problem is the Strategy Group (supposedly merely a forum but seems to have established considerable power somehow), made up in thirds by the FIA, Bernie/FOM, and the 'big six' teams (note the non-presence of the teams at the back) - and rarely do they agree on anything, and what they do agree on tends to be silly (see double points, as well as the fleeting wheeze to cut Friday practice thankfully since abandoned). Meaning that the FIA that is meant to be running the show only has a third of the say. 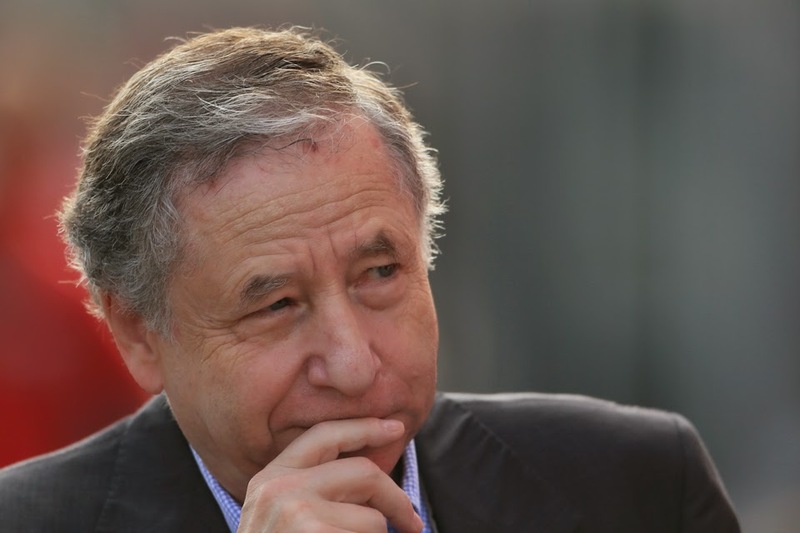 Indeed Todt and the FIA in the course of the year had to abandon their plans to really deal with the cost issue via a cap, and Todt admitted that he simply was out-numbered. Some though - including his predecessor Mosley - reckon that Todt should simply start to face the teams and Bernie down. Todt did indeed do just this on the issue of restricting radio 'coaching' late in the season, so hopefully he'll develop a taste for it. In a ray of hope too the EU Commission is starting to sniff around the Strategy Group and its legality. Few would mourn its passing. Yet in keeping with the inertia, with the grid apparently down to 18 cars at most for next year, and at a point where you feel that if it goes any lower then the sport's really in trouble, if there is a strategy in place to get F1 out of its financial mess then it is well-concealed. Thus not since the end of 1982 have we ended a season with such trepidation of what form F1 will be in at the start of the next. You fear that it has reached the point that it'll take a proper crisis - a properly cataclysmic one - to concentrate everyone's minds sufficiently and make the game sensible again. Either that or - as was the case 32 years ago - the FIA to finally emerge from its coma and impose a solution. Your move, Jean. There is plenty on Bernie's rap sheet too in addition to the sport in crisis related to a skewed cash distribution that he created. Chief among these is the CVC deal and its various manifestations - not least Bernie's bribery trial which not only dragged on to the sport's great embarrassment and distraction for much of the summer but also ended rather unsatisfactorily (seriously, ending a bribery trial ahead of time with something that appeared a lot like a bribe? ), and left him rather as damaged goods. Both in his image as well as that he relinquished executive authority when the charges were confirmed. You can add to the rap sheet that - related to the money-guzzling CVC deal to whatever extent - the sport has increasingly based its financial model on demanding vast hosting fees from venues, which has had the multiple negative impact of both sky-rocketing ticket prices at existing Grands Prix as well as taking the sport away from its core support to appear instead in new territories, where in a lot of cases the locals don't appear terribly interested. This even worse often associates the sport often with, shall we say, questionable governing regimes who wield the blank chequebooks. It's also manifested itself in the sport demanding vast fees for TV rights, meaning TV coverage disappearing behind paywalls. In other words the fans are the ones to miss out, and to fork out. His attitude to social media and the internet, as well as on attracting young fans as expressed late in the season, borders the cringeworthy. Finding those with enthusiasm for Bernie staying on suddenly by the conclusion of 2014 became a trying task. But still Bernie's staying power is not to be underestimated. As seen after the season's end when all were convinced that CVC was to replace current F1 chairman Peter Brabeck-Letmathe, thought to be stepping down due to ill health, with the formidable British liquor executive Paul Walsh. A man who most of us were convinced would lead the transition from Bernie's stewardship and ultimately to floatation. But before we knew it Bernie had seen him off, for the Chairman position at least. And right on cue suggested for the role instead his long-time ally and chief legal officer Sacha Woodward-Hill, as 'a safe pair of hands'. Quite if a safe pair of hands, a consolidator, is what the sport needs right now given everything is rather open to debate of course. But while heading into this campaign felt like a massive step into the unknown for the reasons given, the identity of the team on top was no surprise. Indeed everyone had suspected it for months; maybe even years. Mercedes has had this year's change in regs circled on its calendars for for some time; let's not forget its preparations were a crucial part of convincing Lewis Hamilton in late 2012 to come aboard. Also when it gave up on the 2012 season early, it was not to focus resource on 2013's preparations but on 2014's. The power unit was running on the test bed way back in 2010. Perhaps its advantage went back further, to 2009 when F1 first flirted with energy recovery. Ferrari outsourced the task; Renault let the teams went on with it. Mercedes, alone, kept it in-house and from that point was half a lap ahead. Throughout 2013 Ross Brawn - who sadly wasn't around to experience the team's success this year - had the team running the new unit and its associated systems on the dyno exactly as if it were a Grand Prix weekend, complete with FP1, 2 and 3, qualifying and the race, and with the same time gaps between, and according to Brawn 'that brought to light an enormous number of problems we wouldn't otherwise have found'. Brawn too outlined the benefits of being a works engine team, and thus being able to develop the new power unit and chassis in unison. 'If you approached it like the old days - just take the engine, plug it in, stick a gearbox on the back of it and stick it on the track - you'll have a nightmare' he said. 'Heat, installation, the dynamic coupling of everything - it's fascinating in many ways. But God help those who have not been on the dyno in representative conditions.' Given this was said at around the time of pre-season, Brawn may have had one team in particular in mind. As on top of Mercedes's own stellar job the team that it toppled in Red Bull, indeed the Red Bull team that even so turned out to be its closest challenger, in the early throes got it very wrong. Suddenly the structure of the previous standard-bearing Bulls of an arms-length relationship with its engine supplier became exposed in this year's new landscape, its power unit builder being several hundred miles, one border and one English Channel away in Viry-Châtillon as opposed to the 40 minute drive between Merc's race team in Brackley and power unit builders in Brixworth. Whether this is a permanent shift or merely one that helps a team hit the ground running after an engine-focussed regulation shift isn't clear but that Red Bull is reportedly seeking to pull more of the power unit development closer to it indicates it thinks it knows the answer. Crucially too Mercedes found an 'unfair advantage', as Colin Chapman would have put it. And it was disarmingly simple. The Merc power unit took a radical departure from the usual concept of a turbo layout by placing the air compressor at the front of the engine rather than at the customary rear, having separated it from the turbine via a lengthened shaft. The compressor therefore was placed well away from the hot exhaust and this means less pipework is required to cool the air before it is entered into the engine. Ferrari apparently also produced something in the same ballpark but crucially didn't take it to the same extreme, placing the compressor only about a third of the way along the unit. As is often the case the benefits of such a gain were not ring-fenced. 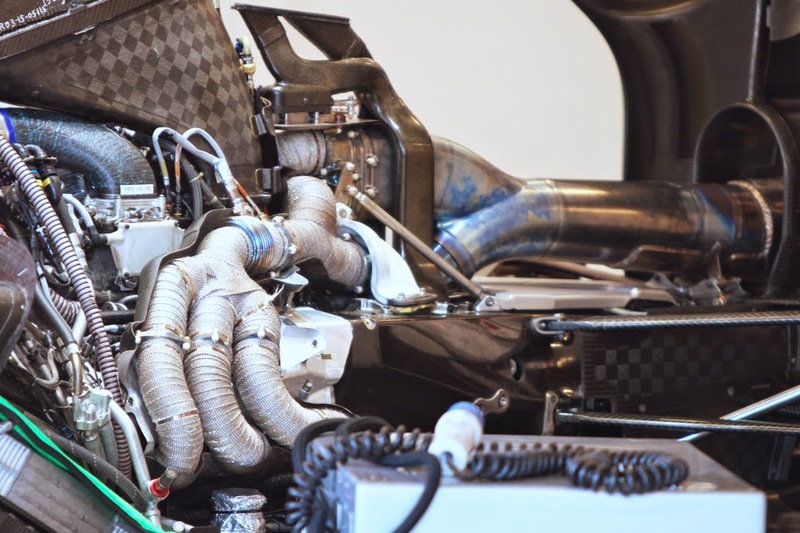 This shorter pipework improved driveability by reducing turbo lag, which in turn meant less of the ERS power was required to make up for the turbo lag (meaning there's more of that to use elsewhere) as well as allowed more compact sidepods thus boosting aero efficiency. You can add to these too that as a consequence of the repositioned compressor the Merc's gearbox was placed further forward, helping handling and change of direction via the more centralised weight distribution, as well as that its 'coke bottle' at the car's rear was much more compact than that of its rivals, further benefitting aero. Lenin isn't the most likely source of quotes relevant to F1, but one of his utterances seems highly apt to how Mercedes reaped its considerable gains this campaign: 'everything is connected to everything else'. Of course, the Merc power unit customer teams also benefitted from this layout concept, but what they didn't have was the same amount of time to design their cars around it and thus maximise the resultant possibilities. To give some idea of the difference, it's said that Mercedes first had its big layout idea somewhere in the region of two years before this year's pre-season testing. 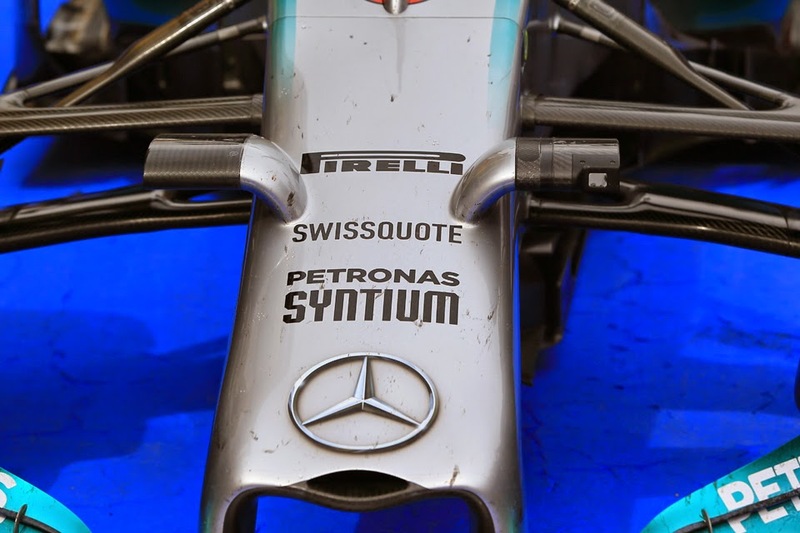 Whereas in the case of its customers it could only find out about this when their 2014 contracts with Mercedes were finalised, which in many cases gave them but a matter of a few months to prepare. Before the season was out too the odd grumble about the engine modes permitted to customers from the Merc engineers, especially when battling with a silver car, was aired. Indeed winning every race - doing what McLaren so famously just missed out on in 1988 - seemed a genuine possibility for a time. As it was F1's capacity of happenstance - unreliability, weather and an intra-team contretemps - meant that three races were relinquished, all to Daniel Ricciardo's Red Bull. But still, this season no one else ever ran on the Mercedes pace without unusual circumstances. In 2014 the rest were routed. Whether it was the tight confines of Monaco, the long sweeping turns of Silverstone, the long flat-out blasts of Monza, the bit-of-everything Tilke-dromes of Malaysia, China and Russia, the heat of Singapore, the wet of Suzuka, the old school challenges of Interlagos, in its campaign of triumph Mercedes took them all. Indeed wiped the floor in them all. The Mercedes's pace advantage was big in qualifying, in races usually even bigger, and didn't show much sign of being diminished over the season. Indeed by the year's end it looked as big as it had been. With this absurd superiority of a single car the on-track fare in 2014 could have been ruined. And if that had been so contemplating - on top of F1's other woes - where that might have landed us should elicit a shudder. A season such as 2002's would have seemed mild by comparison. That we didn't should be a matter of huge relief. Indeed Toto Wolff was heard early in the year talking of his obligations to the sport in his policy of letting his two drivers get on with it. Wolff ended the year not as everyone's cup of tea, what with his stance on matters such as cost control and power unit freezes. But for this particular stance we should always be grateful. For a time however it seemed that not even Wolff's laissez-faire spirit would give us a close title race. Lewis Hamilton dropped out of the first race with mechanical woes on a day wherein he looked likely to be in a competition of one, and Nico Rosberg in the other Merc helped himself to the win. But Lewis then won the next four, having the place to himself in two and robustly defending his lead against an apparently faster Nico in the other two. Nico finished second everywhere, thus minimising the damage, but Lewis now had a bare championship lead. But in Monaco the story changed. Changed utterly. And it heralded a tight and exciting championship battle including many equally exciting races - reminding us once again that just two cars are required to give us thrills. 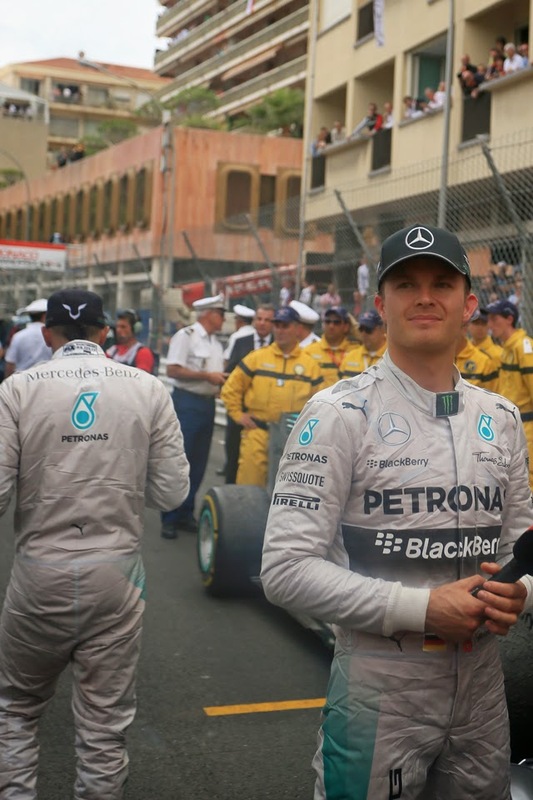 In the final part of Monaco's qualifying as is now notorious Nico on provisional pole disappeared down an escape road on his final run, and the resultant yellow flags (with Nico curiously trying to reverse back onto the track...) meant Lewis behind couldn't improve and pole was therefore Nico's. This was another act that divided wider opinion, this time as to Nico's intent. And it was clear what Lewis thought, and plenty others including a few drivers agreed with him. As the year went on the grapevine got a bit louder that Nico had indeed committed a professional foul. We found out furthermore that already by this point the mistrust between the pair was well underway. Lewis had used an MGU setting he shouldn't have done in the Spanish race which helped him defend his place against Nico. Nico it transpired had done similar before that in Bahrain. So all of a sudden in addition to having a real championship fight (Nico indeed from pole took the Monaco win) we got one with a rather embittered undercurrent. The plot then thickened as whatever the cause and effect Monaco was prelude to a run of difficult qualifying sessions for Lewis. Two in which he erred by pushing two hard, then one in which he gave up too readily on a drying track. Dumping salt into his gaping wound the next two were spoiled by mechanical failures. He remained mesmerising on each race day but these ensured Lewis spent much of the summer playing catch up. Nico meanwhile was striking the ball confidently into the unguarded nets he was presented. 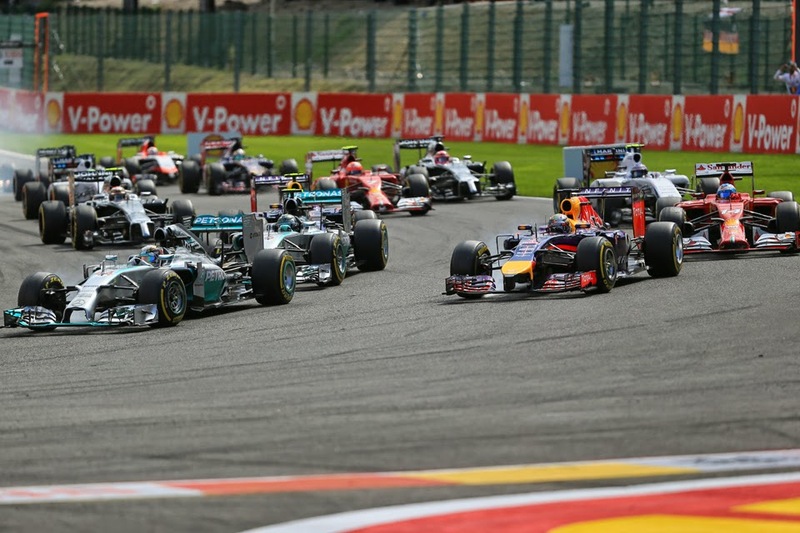 But the 2014 title fight was one with two pivots, and the second awaited us in Spa. The slightly tetchy intra-Merc scrap reached its much-speculated conclusion of on-track contact on Belgium's second lap, after Nico rather lazily let his front wing hang alongside Lewis's rear tyre. Lewis punctured which led to a no score; Nico carried on hobbled and salvaged second. Once again things were changed, changed utterly. And while it was well-concealed at the time this pivot was in Lewis's favour. Somehow Nico lost some of his swagger, possibly related to his team publicly treating him rather as a schoolboy in disgrace in response to the clash. To many it looked mere misjudgement on Nico's part though Lewis alleged that Nico had said it was deliberate, to 'prove a point'. 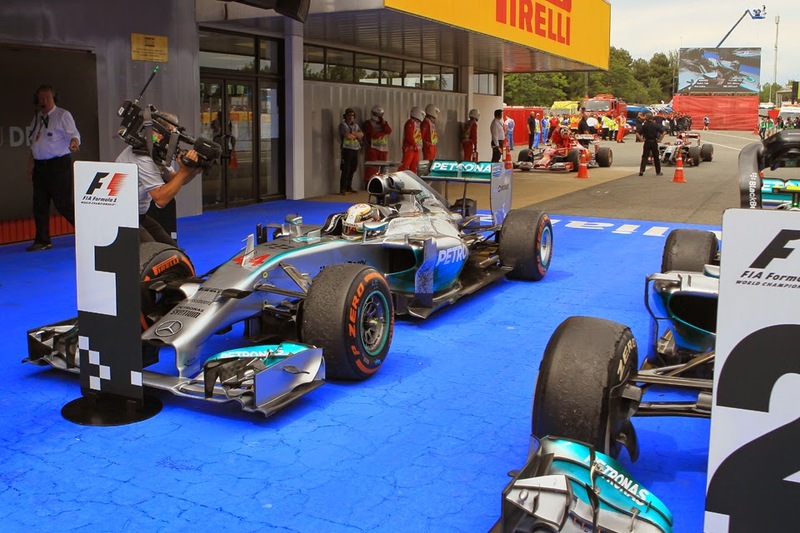 Come the next round in Monza a suddenly twitchy Nico aided his team mate to victory with an error mid-race letting him by, then the Singapore race changed the mathematics - Nico not getting off the line with technical troubles and Lewis sweeping up the 25 points. In the blink of an eye Lewis was right with Nico, and this was just the early part of another run of Lewis wins, five in a row this time. By the time it had ended the title was his barring disasters. And even though Nico, as he'd spent most of the season doing, delivered a counter-punch in Interlagos when all thought him down and out, the disasters never arrived. Indeed it was Nico that fate dealt a dud hand in the season-closer in Abu Dhabi, which confirmed Lewis's title slightly ahead of time. 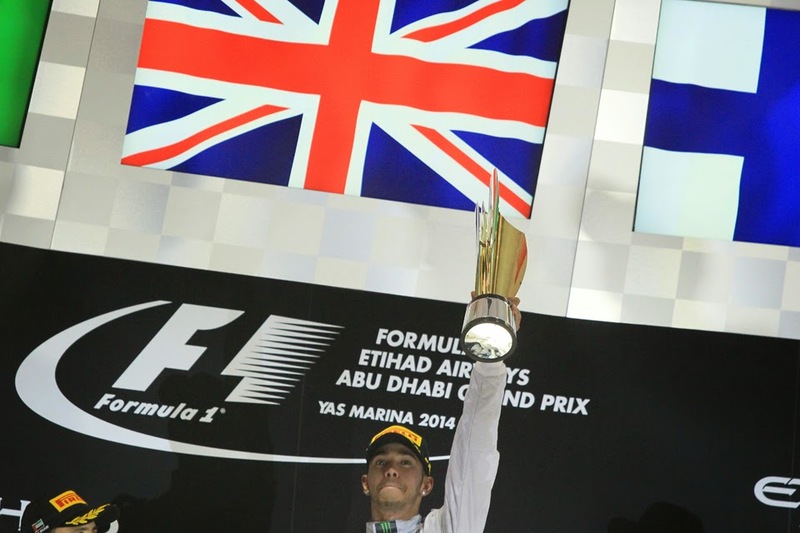 But few disputed that the sport in 2014 had found a worthy champion. Eleven wins from 19 was hard to argue with; so too was being consistently the quickest on race day. And Nico's grace in defeat - in combination with Lewis's magnanimity in victory - while incongruous with the season on a few levels was nevertheless highly refreshing. The two Merc pilots may not be confidants again but at least they ended the year having declared a truce. Indeed generally this year we witnessed a more rounded and complete Lewis Hamilton than at any point before. Nico Rosberg also was as worthy adversary. But even more widely and as mentioned it seemed that on-track was about the only place that F1 got it right this year. The season started a little slowly in the entertainment stakes (grist to the malcontent mill) but as mentioned the Bahrain race mentioned was the most riveting most of us could remember. And from then on the races rarely let us down, even those that the silver cars disappeared in. Frenzied yet perfectly judged wheel-to-wheel battles up and down the field became close to an expectation. Hungary was another classic. Only the debut round in Russia was conspicuously tepid, and in that case it was for peculiar reasons. The creeping pariahs of DRS and gumball Pirelli while still present was noticeably reigned back, and the racing benefitted. As noted fuel-saving barely was a factor of race days, Russia aside. There were some superb driving canvasses on display too even over above those of the two in silver. Indeed the year had a lot of the changing of the guard about it, particularly in the form of Daniel Ricciardo. It was a reminder that nobody knows anything as a guy some said only got his big break at Red Bull on the assumption that he wouldn't challenge his four-time champion team mate Vettel in fact wiped the floor with him. He was at least as fast as Seb and much more sympathetic on the tyres at the same moment. And over the course he demonstrated that he apparently is a driver without much obvious weakness, and won three races into the bargain, being the only one to beat the Mercs to victory at all. For many he was the driver of the season bar none. And even more cockles were warmed by the astonishing resurgence of hardy veterans and everyone's favourite other team Williams, following a 2013 wherein it beat only Marussia and Caterham, and not always by much. But this year it was third in the constructors' table, took a pole position (in so doing depriving the silver cars of a clean sweep) as well as several podium finishes. Arguably it was the Mercedes's most persistent closest competitor on pure pace. It was assisted of course by the jewel of a Mercedes power unit, but it was well clear of the two other Merc customers of McLaren and Force India. Pat Symonds, Rob Smedley and others reinvigorated the squad technically, and Claire Williams filled the apparent management vacuum that had lingered since Toto Wolff had left. And just like Ricciardo, the Grove pilot Valtteri Bottas was another to really show us what he could do with access to a good car - that he is a fast breakthrough driver without conspicuous flaw. Race wins surely are just a matter of time for him. Titles could be too. With Ricciardo and Bottas, in addition to 2014 debutant Daniil Kvyat, we can be confident that the sport's healthy future in driving talent at least is assured. Even though with now just nine teams and many towards the back discriminating chiefly on the grounds of money brought (Sauber's really gone to town on this for 2015) things are probably tougher than ever for those seeking their big break. Sadly though 2014 on-track matters did have a jarring false note struck, with Jules Bianchi's chilling accident at Suzuka, when in worsening conditions he left the track and collided with a recovery vehicle already there for an accident for Adrian Sutil. Latest news at the time of writing is that while he is out of his coma and breathing unaided he remains in a critical condition. All continue to hope for the speedy recovery of a pleasant young man and highly promising talent. But while Merc mesmerised us in 2014, it has to be said that the other two engine builders in Ferrari and Renault simply did not rise to the revised challenge. Red Bull therefore at least had a compelling excuse for relinquishing its crowns. Renault, which had pressed for the new regs as hard as anyone, arrived in pre-season testing woefully under-prepared. Most Renault-powered machines conked out regularly, and with Red Bull as ever it taking cooling and the like to the edge it seemed the RB10 barely could leave the pits without stopping amid smoke. By the time of Melbourne all had pulled the thing together remarkably, but the chasm to Mercedes already was unbridgeable. Throughout the year the horsepower deficit remained stark, which Horner put at 75bhp, and this wasn't entirely Horner blarney. That the Bulls nevertheless salvaged a comfortable second in the constructors' table underlines just what a formidable unit it remains. Many felt that, despite the Merc preponderance, the Bull has the best chassis still. As mentioned next year it's seeking to learn the lessons by drawing its power unit development closer to itself. Next year though it will have to do without its fulcrum Vettel, who is off to Ferrari, and its inspiration in Adrian Newey, who after leading the creation of the 2015 machine is to head up 'Advanced Technologies'. Latest word however is that he might not after all be quite as detached as had originally been assumed. But even with all of this the Red Bull season was a model of serenity compared with Ferrari's. In an engine formula that should theoretically have suited it, it flopped. Apparently too the Scuderia chose the wrong path in seeking to keep the engine and required cooling compact in order to help the chassis. But somehow it ended up with both the chassis and the power unit pitiful. Little wonder too that the magnificent Fernando Alonso reached the end of his tether, and got out of his Ferrari contract two years ahead of time, so to throw his lot in with the returning Honda and, perhaps astonishingly, McLaren. So, plenty changes for next season. But just as Red Bull for years got an auxiliary benefit of its rivals getting into a state of flux, cannibalising each other, in their desperation to claw the deficit back, now it appears Mercedes is getting exactly the same thing. Of course, in many ways it might not get so good again for Mercedes. Its competitors in spite of everything will do their darnedest to honour by imitation the things that have made the Merc quick. You'd imagine the other Merc customers will be especially well-placed. As we know the Brackley team is doing its best to ensure the engine freeze maintains its full rigidity, but even if it does this advantage is likely to be narrowed, as there are loopholes which ensure that the development freeze is more honoured in the breach than in the observance. There will be a new power unit on the scene next year too. But whatever developmental avenues there are will be explored in minute detail by Mercedes also. Indeed word has emerged from the Brackley/Brixworth direction that it has scores of horsepower itself to gain if things are opened up. Lewis Hamilton acknowledged as much in Suzuka: 'I'm sure others teams will make a big step (for next season)' he noted, 'but we plan to move forward again as well. Mercedes are planning to be number one again.' You can take that as a promise.